Coming up alongside the current property rally is a fierce competition among banks here, eager to sign up homebuyers with attractive and innovative loan packages. The loan options being dangled are mind-boggling - such as the perennial choice between fixed or floating rate mortgages. Some packages even come with a deposit interest matching feature where the interest earned can be offset against the mortgage interest. Two examples are United Overseas Bank's (UOB) HomePlus and Standard Chartered Bank's (Stanchart) MortgageOne Sibor. For instance, MortgageOne Sibor customers earn the same interest rate on two-thirds of their deposit linked to their mortgage as they pay on the loan. The interest earned can offset the mortgage interest. Customers pay less interest each month, and are able to pay down their loans faster than is the case with a traditional loan package. Citibank's Home Saver deal is an index-linked home loan that offers customers one of the widest selections of index tenures in the market, ranging from one month to three years. Customers have the flexibility of switching from one index tenure to another. The indexes used for reference include the Singapore Inter-bank Offered Rate (Sibor). If time is money, Stanchart has launched a service which provides in-principle approval for a mortgage loan within one hour - provided certain information like annual income and property valuation is made available. Some experts even suggest that the conventional wisdom - that the best deal is the package with the lowest interest rate - is not always so. 'The best loan package is the one that meets the needs of the home owner,' said Ms Annie Lim, managing director of mortgage consultancy firm Global Creatif Financial. Besides interest rates, consumers should look into such features as the lock-in period, penalties for partial redemption and legal fee subsidies. Ms Lim's own wish-list is a package with no lock-in period and no penalty for partial repayment. 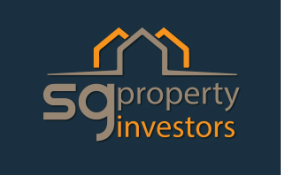 'I like the flexibility of not having to pay a penalty should I sell my property within the lock-in period, or to restructure my loan as my financial needs do change from time to time. 'I also want to be able to choose partial repayment as and when I get any bonus or lump sum income,' she said. Mr Dennis Khoo, Stanchart's general manager for retail banking products, said customers who want security and stability should opt for a fixed-rate package as this is a good time to secure the pricing before interest rates rise. 'With fixed interest rates, the monthly instalments are not open to fluctuations,' he said. But some other customers may believe that interest rates will fall or remain low. For them, variable or floating interest rates are the preferred route, given that the payment amount automatically adjusts as rates go down - or up. Customers typically link their loans to one of two major benchmark rates: Sibor and the Swap Offer Rate (SOR). Mr Dennis Ng, spokesman for mortgage consultancy portal www.HousingLoanSG.com, cautioned against the false notion that the Sibor will stay low at below 1 per cent. He said it is likely to creep up as the economy recovers and when US interest rates are adjusted upwards. 'The three-month Sibor is now at a low 0.68 per cent. This rate has been stable for the last six months. But do note that in 2007, Sibor was as high as 3.58 per cent.? 'Sibor is mainly affected by the US Federal Reserve rate and the liquidity of Singapore's banking system. The US is likely to keep interest rates low for the next six to 12 months,' he said. But two years from now, for instance, interest rates may go up. So do not calculate your 'affordability' based on current low housing loan interest rates, he advised. Ms Lim said customers with healthy monthly cashflows or initial lump sums parked in their savings accounts may want to check these out. The deposits can be used to offset their loan account so that they pay only the loan interest on the difference, as in the case of Stanchart's MortgageOne Optimizer. Such an offset allows customers to lower their loan term without additional instalment payments, as offsetting minimises the loan payment. These are available only for new loans, and on a case-by-case basis when customers decide to refinance. 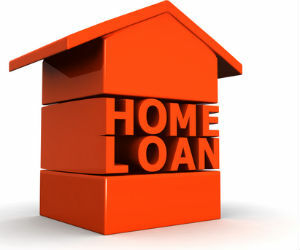 Customers pay only the home loan interest and not any of the principal for a specified period, usually up to three years. In the fourth year, the loan reverts to a normal interest rate plus principal loan and follows the fourth-year rate of the package. This option is targeted at the investor who wants to maximise bank financing for his property investments. It is also suitable for customers who may have temporary cashflow problems for a limited period, Ms Lim said. Investors who depend on rental income to pay their housing loan instalments should realise their property might go untenanted for up to six months. It is prudent to have enough cash or Central Provident Fund savings on tap to cover these monthly instalments. Mr Ng noted that condominium rental rates are still falling. Investors should factor in a possible drop in rental income by 30 per cent to calculate the amount needed to top up any shortfall in rental against the loan instalments. Customers should look beyond interest rates and consider other factors such as the lock-in period and penalty fees. Some loans come with benefits including legal fee, valuation fee and fire insurance fee subsidies which are aimed at defraying part of consumers' housing loan costs, said a UOB spokesman. Another potential cost is the loan cancellation fee. An investor who bought a property speculatively and then applied for a loan might be slapped with a loan cancellation fee if the property is sold before the loan is disbursed. Cancellation fees can range between 0.75 per cent and 1.5 per cent of the loan amount, and can be quite substantial. For example, if the loan amount is $1 million, the cancellation fee works out to $15,000, said Mr Ng. Do not assume that when you buy a newly launched property from the developer, you are free from having to check its market valuation. Mr Ng understands that some new projects have been sold above valuers' estimates. In such a case, you will have to use your own cash for the amount above what the property is valued at. Say, a property is sold for $1 million but valuers reckon its market valuation to be $900,000. The $100,000 difference - known as cash-over-valuation (COV) - has to be paid by the buyer in cash. Indeed, arising from the recent exuberance in the property market, the COV component is becoming more marked in private and public housing sales. Ms Lim's advice is to get an independent property valuation before committing to a sale price. To approve loans, banks typically use the debt servicing ratio - which is the percentage of one's monthly income used to service long-term liabilities. The recommended healthy debt servicing ratio is about 35 per cent although every bank has different acceptable levels of debt servicing ratio. Ms Lim recommends that young couples and first-time home owners apply for loans with the maximum quantum - usually 80 per cent of purchase price - and the maximum tenure. The latter is usually based on age 70 less the customer's present age or 35 years, whichever is lower. 'We recommend this in our practice to enable easier approvals of loans so that a healthy debt servicing ratio is achieved. Given the right package, the customer can always make future adjustments like doing partial repayments or shortening loan tenure,' she said. Homeowners should have a buffer of at least 12 months' funds to service the loan so that they have sufficient time to rent out or sell the property. This will come in handy if things turn bad, said Mr Bryan Ong, founder of mortgage consultant BC Group. Finally, that dream home may become a nightmare for your family if you fail to protect your investment with some mortgage insurance. This safeguards your home, and family so that they will not be burdened with mortgage repayments or face the possibility of losing their home or downsizing should you die prematurely or become permanently disabled, said Mr Jason Ong, an adviser with Professional Investment Advisory Services.